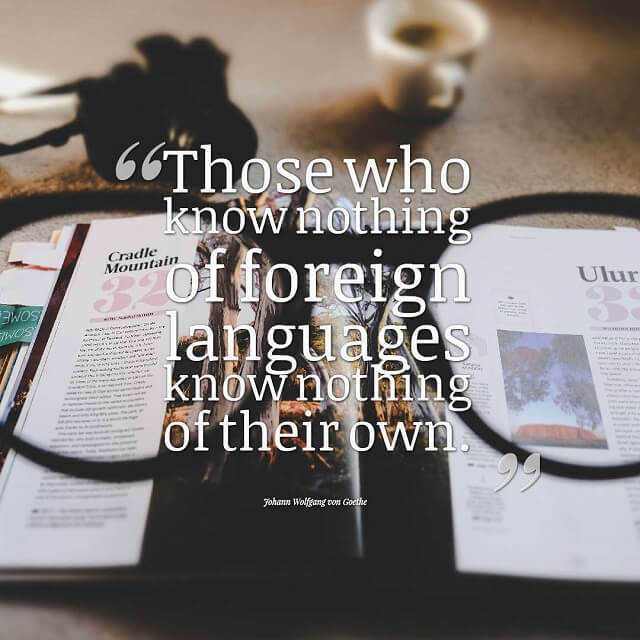 Languages put our worlds in focus, give structure to our thoughts and help us to communicate with the people around us. They are fluid concepts, built from our heritage, our people and our interactions with the world, growing and changing to keep up with the modern day whilst reminding us of our past. 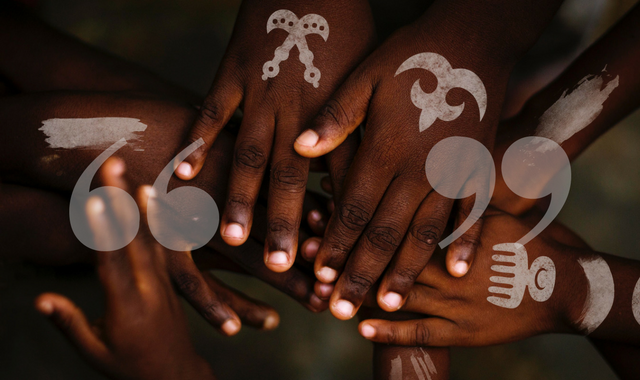 These quotes are just some of the many amazing ways we can appreciate the depth, variety and power of understanding language and the people behind it. 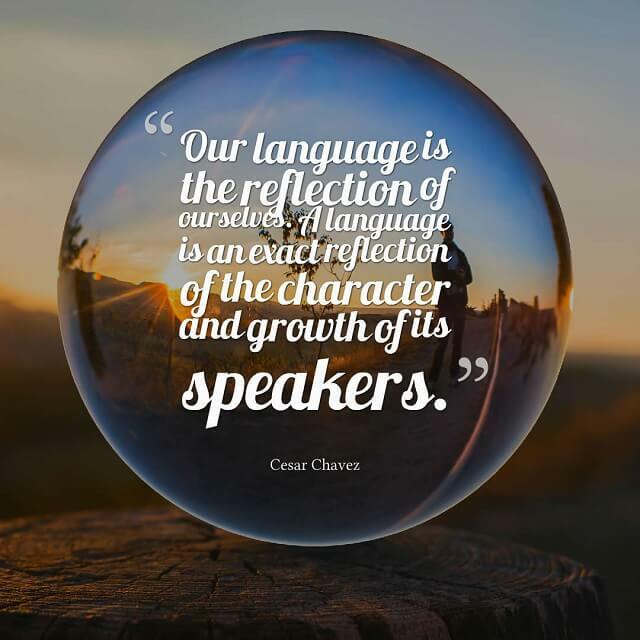 “Our language is the reflection of ourselves. 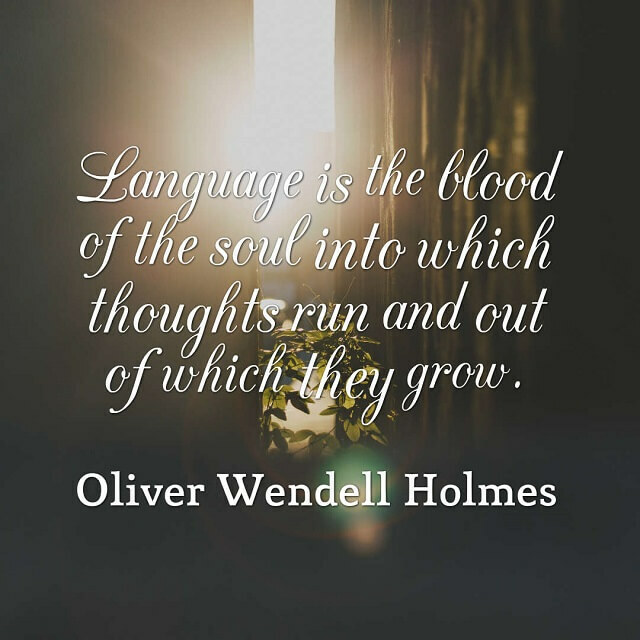 A language is an exact reflection of the character and growth of its speakers” by Cesar Chavez. 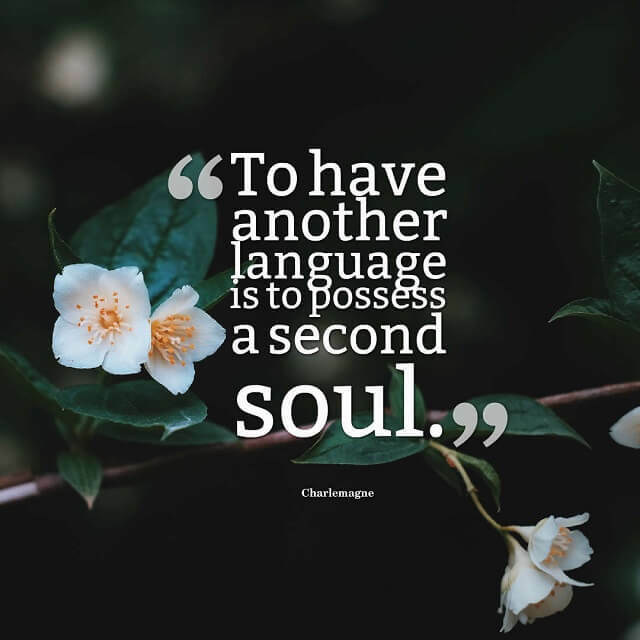 “To have another language is to possess a second soul” by Charlemagne. 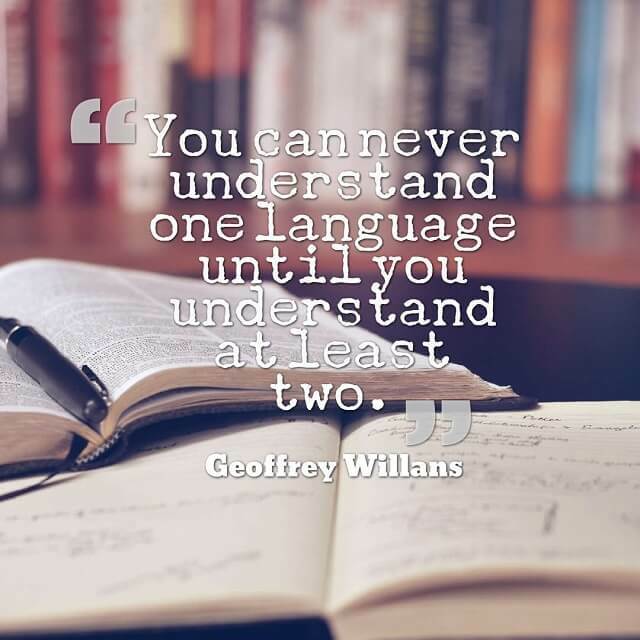 “You can never understand one language until you understand at least two” by Geoffrey Willans. 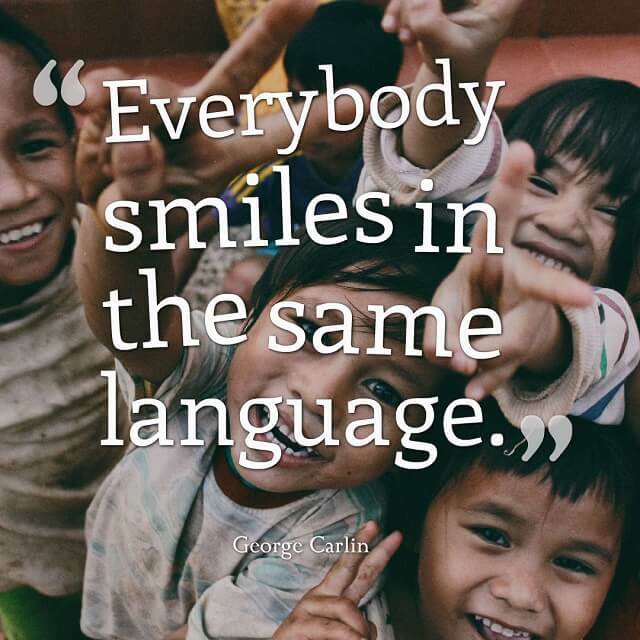 “Everybody smiles in the same language” by George Carlin. 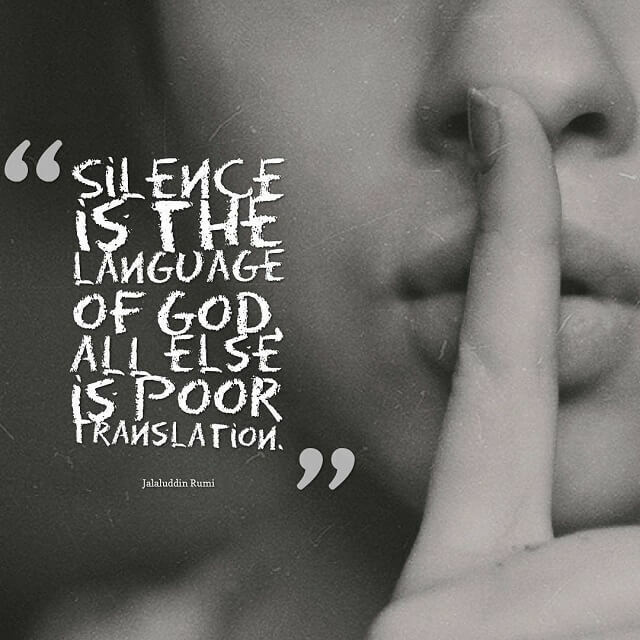 “Silence is the language of god, all else is poor translation” by Jalaluddin Rumi. 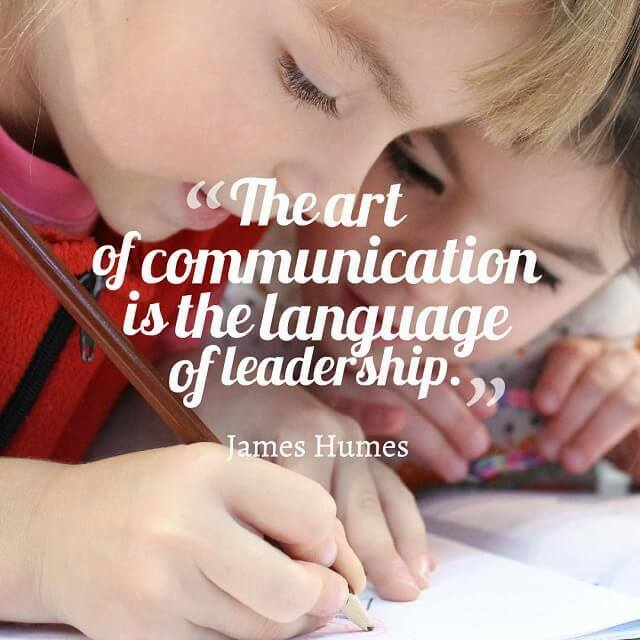 “The art of communication is the language of leadership” by James Humes. 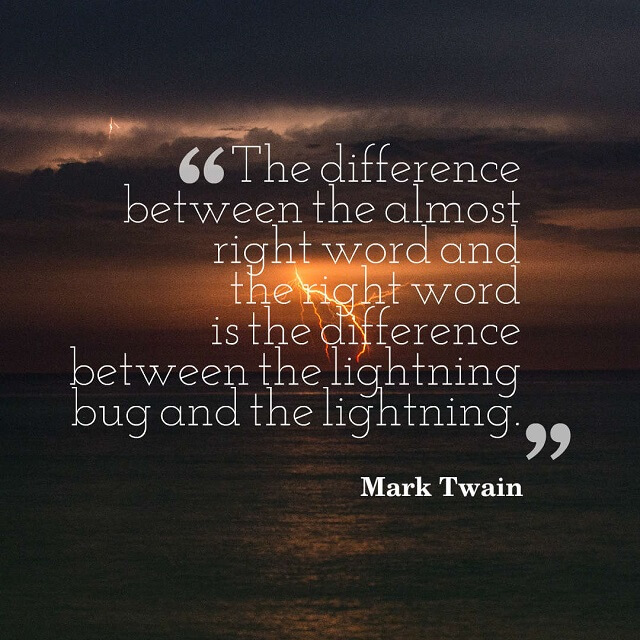 is the difference between the lightning bug and the lightning” by Mark Twain. 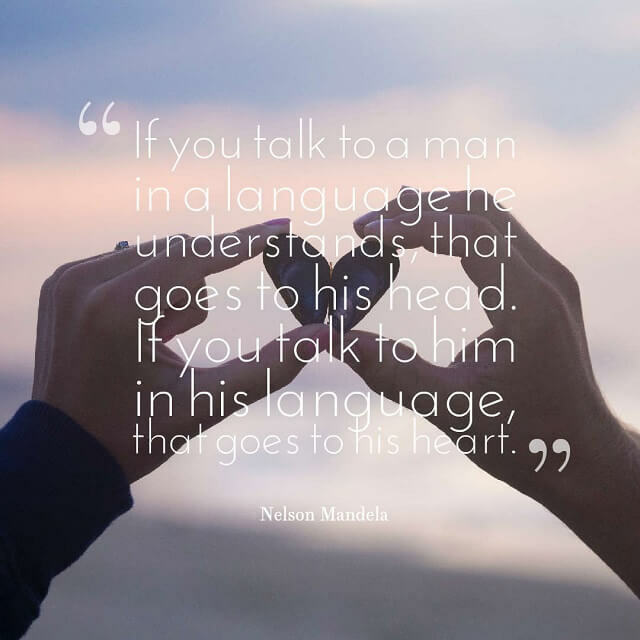 If you talk to him in his language, that goes to his heart” by Nelson Mandela. but the manner in which the principles of generation are used is free and infinitely varied. 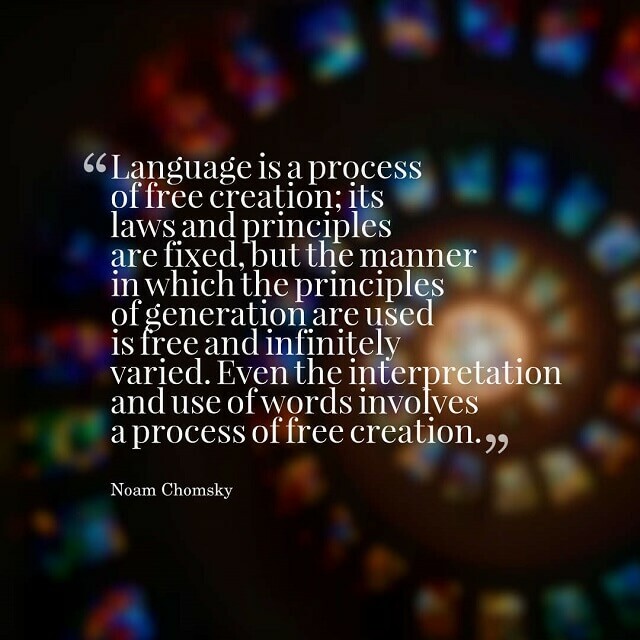 Even the interpretation and use of words involves a process of free creation” by Noam Chomsky. 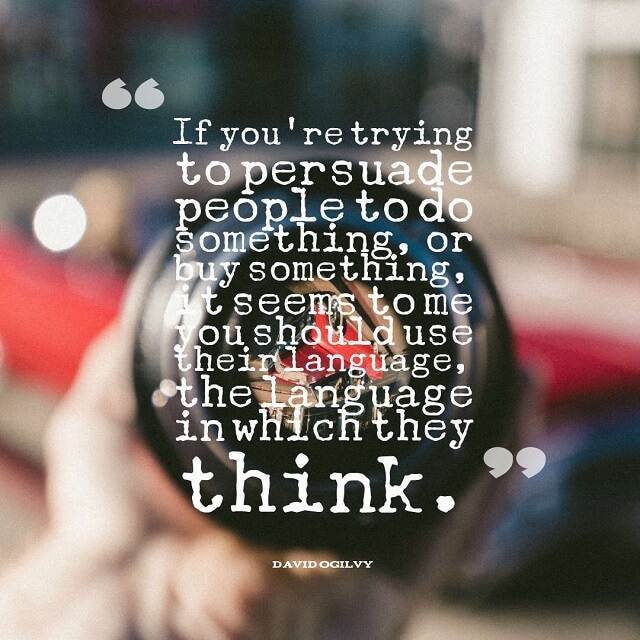 it seems to me you should use their language, the language in which they think” by David Ogilvy. 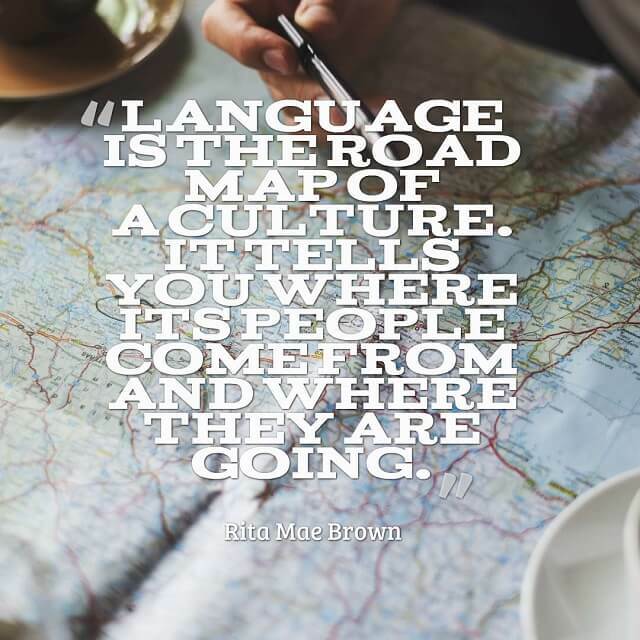 “Language is the road map of a culture. It tells you where its people come from and where they are going” by Rita Mae Brown. 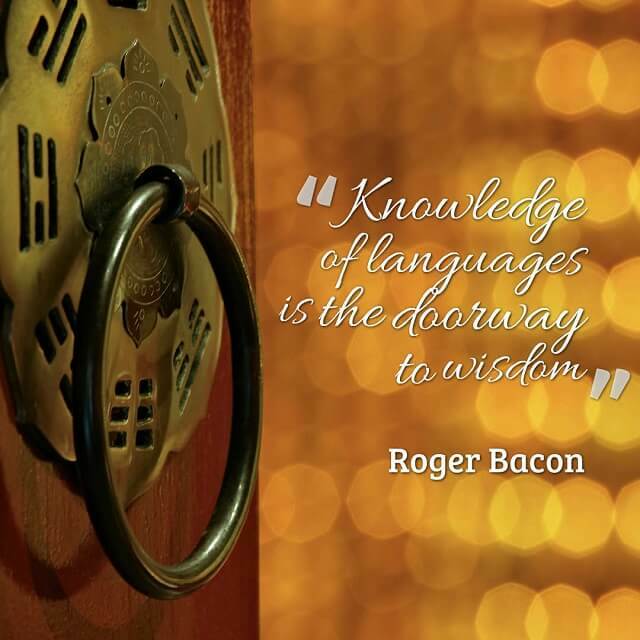 “Knowledge of languages is the doorway to wisdom” by Roger Bacon. 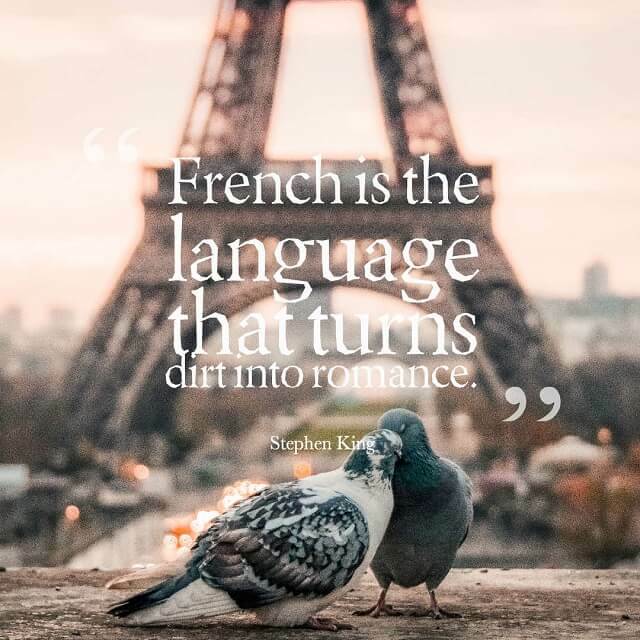 “French is the language that turns dirt into romance” by Stephen King. 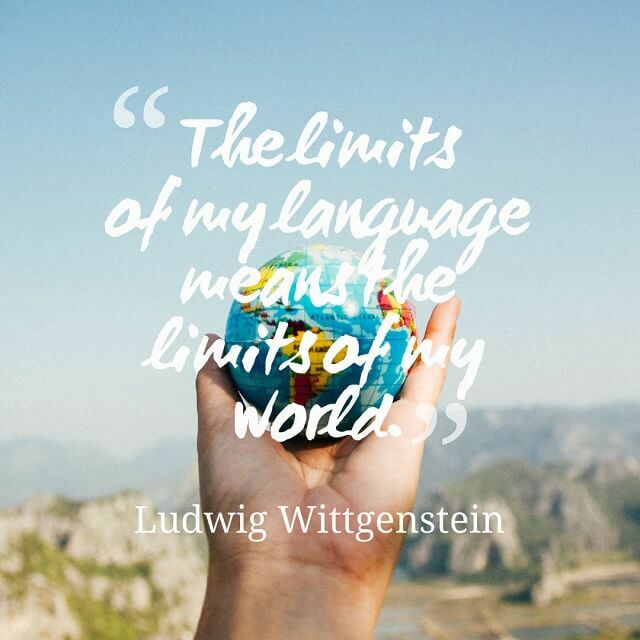 “The limits of my language means the limits of my world” by Ludwig Wittgenstein.